You may remember the announcement of our partnership with Griffeye, some months ago. This partnership is especially interesting since we both work on images and videos, but in a different, yet complementary way. Griffeye focuses on finding the needle in a haystack, while Amped focuses on sharpening the needle and verifying it is actually a needle and not a stick. 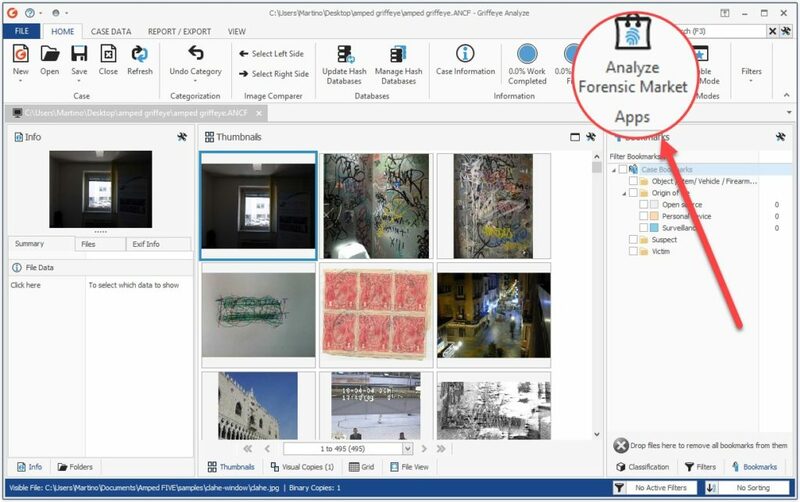 In the latest release of Griffeye Analyze, the Amped FIVE plugin has been added to the Analyze Forensic Market, but in the near future we plan to also add apps for Amped Authenticate and Amped DVRConv. In this post, we will show you how to start with the integration and how the two software work together. First of all, we assume that you have installed Amped FIVE (build 9010 or later) and Griffeye Analyze (17.1.0 or later) on the same machine. In order to enable the integration, you need to click on the button “Analyze Forensic Market”. This entry was posted in Announcements, FIVE, How to on July 5, 2017 by Martino Jerian. 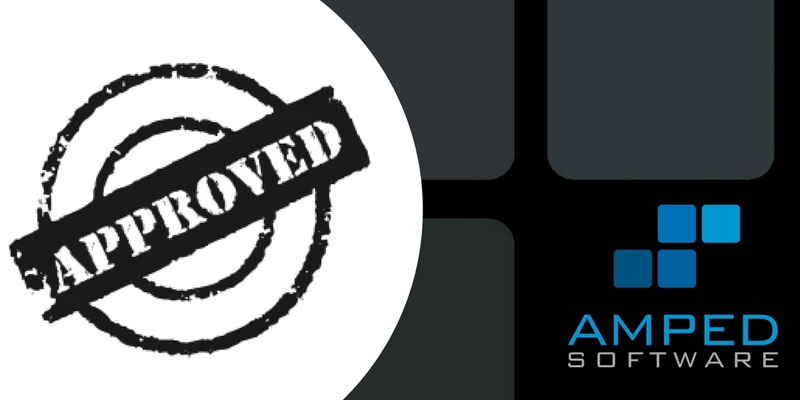 We’ve just launched some pretty important additions to Amped Authenticate. Not only have we integrated it with CameraForensics, but we have also made some major improvements to the quantization tables in addition to many other internal improvements. Read below for the details. The main purpose of Amped Authenticate is to verify if a picture is an original coming from a specific device or if it’s the result of manipulation using image editing software. One of the main tests to verify the file integrity is to acquire the camera that is assumed to be the one that has generated the photo (or at least the same model) and verify if the format is compatible with the file under analysis. While this sounds easy in practice, many devices have so many different settings and because of this it can be challenging to recreate the same conditions. Furthermore, the camera is often not available. What if we look on the web for pictures coming from a specific device? While we cannot, in general, guarantee the integrity of files downloaded from the web, we can triage them pretty easily and do a comparison with the image under analysis. But how do you search for images on the web in an efficient manner? 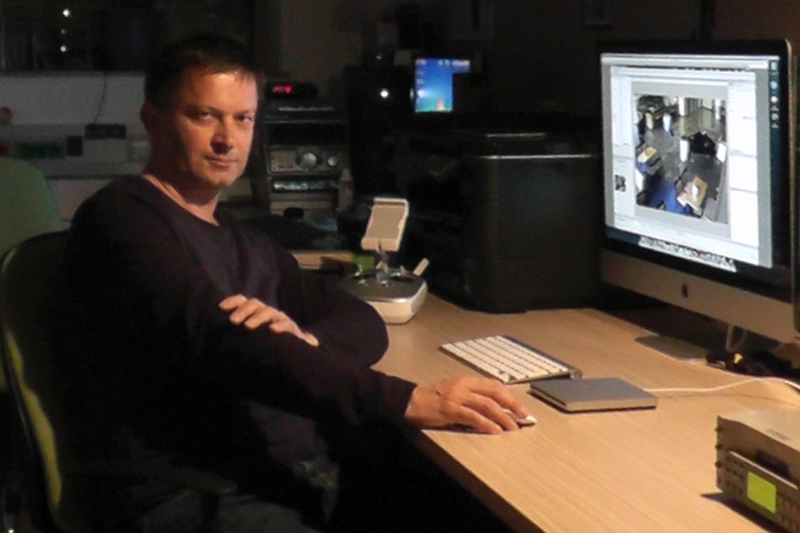 We have had “Search for Images from Same Camera Model…” in Authenticate for quite some time. It allows you to search on Google Images and Flickr, but the search is not always optimal, as it has to apply different workarounds to work efficiently in a forensic setting. 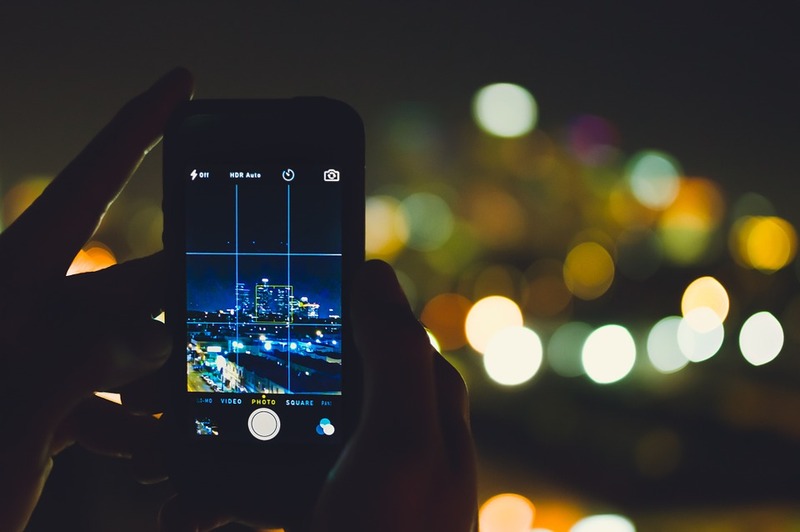 So, what if someone built a database of pictures on the web, optimized for investigative use, enabling you to instantly search for images coming from a specific device and with specific features such as resolution and JPEG quantization tables? Turns out the guys at CameraForensics did exactly this (and much more) and we partnered with them to provide a streamlined experience. This entry was posted in Announcements, Authenticate on June 21, 2017 by Martino Jerian. Are Amped Software products validated or certified officially for forensic use? We work in the field of forensic video analysis, which is generally intended as the analysis of the images themselves and their context in a legal setting. For this reason, our customers often ask us if our products are valid for court use and if they have been validated and certified. We have written this post as an answer to the most common questions related to this topic. You can also download this as a PDF document here. What are the scientific foundations of Amped Software products? Accuracy (Reliability): our tools and training program help users avoid processing errors caused by the implementation of an inappropriate tool or workflow and help mitigate the impact of human factors / bias. Repeatability: the same process, executed by the same user at a different time, must lead to the same result. The project format in Amped FIVE, for example, does not save any image data. Every time a project is reopened, all the processing happens again starting from the original data. In the event that a project file is lost or as a part of a validation or other test scenario, the same user can repeat the steps and settings, guided by the tool’s report, and achieve the same results. Reproducibility: another user with the proper competency, should be able to reproduce the same results. Amped FIVE generates a complete report detailing all the steps of the processing, the settings / parameters applied, a description of the algorithms employed in the processing and the scientific references for those algorithms (when applicable). In this way, another user, with a different tool set or by implementing the same algorithms, should be able to reproduce the same results. Given the huge number of implementation details and possible differences, it is not expected to produce a bit by bit copy of the results, but only to produce an image of similar informative content. Additionally, we apply strict due diligence on the applicability of the algorithms for the forensic environment. Not every algorithm is, in fact, properly applicable in a forensic science setting. We cannot use algorithms which have a random component because they would not be reproducible and repeatable (when we do, we set a fixed seed for the random number generation) and we cannot use algorithms which “add” external data to the original, for example improving the quality of a face with information added from an average face. All information is derived from the actual evidence file. This entry was posted in Announcements, Authenticate, Cases, DVRConv, FIVE on May 31, 2017 by Martino Jerian. One of the things that fascinate me the most in forensic video analysis is the relation between the subjective digital data and the objective human interpretation involved in any investigation. Psychological biases and the fallacies of human perceptions easily verifiable with any of the popular optical illusions are just some of the factors which must be taken into account while doing investigations. But this time I want to look at things from a higher level and talk about the usefulness of video as evidence and our perception of it. 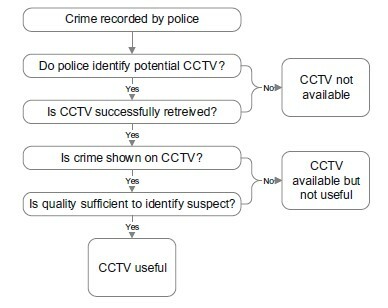 Chances are you have already seen the very interesting article: “The Value of CCTV Surveillance Cameras as an Investigative Tool: An Empirical Analysis” (link). For reference, this is the decision workflow used in the classification (image from the above paper). This entry was posted in Announcements, Cases, FIVE on May 8, 2017 by Martino Jerian. Amped Support Portal Available Now! Normally, we release new stuff for your desktop, but this time we released a little new section on our website to help you with the management of your Amped Software licenses and training: the Amped Support Portal. In the portal, you can find all the essential information about your software licenses and the training classes that you have attended. 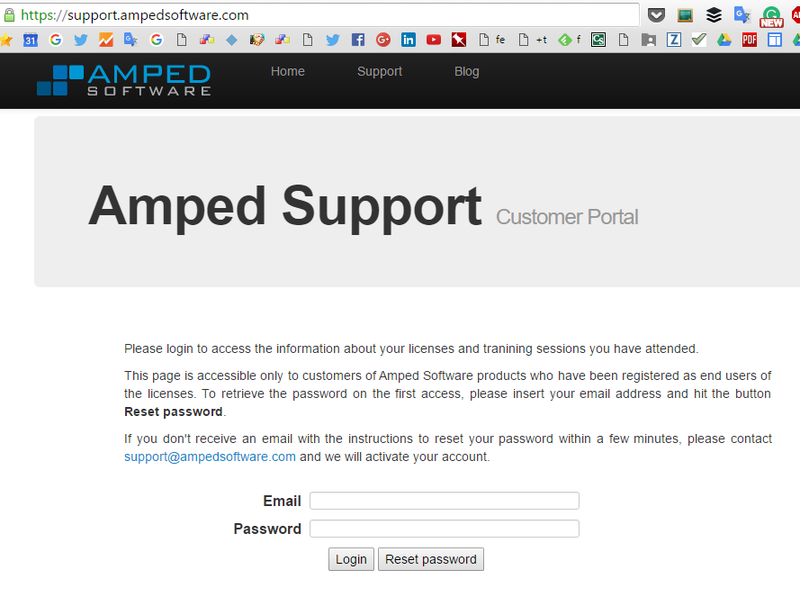 Just head to https://support.ampedsoftware.com and you will see a typical Email / Password login page. If you are an Amped Software user and we have received your details when you purchased a license, you should already be able to log into the system. Just insert your email address and hit the button “Reset password”. Then check your email and follow the instructions to change the password and then log in. If you don’t receive an email, this means that we don’t have you in our records. But no worries, just send an email to support@ampedsoftware.com and we’ll create an account for you once we have identified your available licenses. You can see all your licenses and their expiration dates, you can download the latest versions of the software, and you can generate license certificates that your administration or management may require. Additionally, you will also see all the training classes that you have attended and download the related training certificate. We plan to add additional features soon, for example, adding the possibility to receive email notifications before the expiration of your SMS (software updates). So, stay tuned! As usual, feel free to contact us if you have any comments or suggestions about the new portal. This entry was posted in Announcements on April 13, 2017 by Martino Jerian. Following our previous posts (here and here) on the topic of unrealistic and unscientific enhancement, we’ve been asked by the folks at Forensic Focus to write a more in-depth article on the topic. 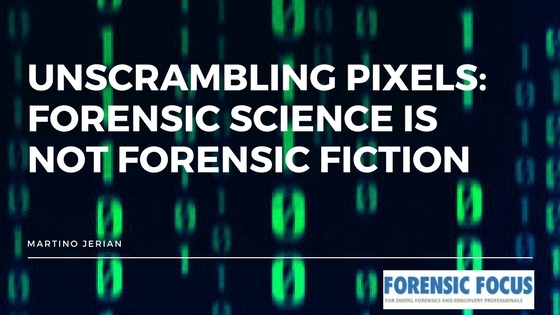 You can read the full article published on Forensic Focus here. This entry was posted in Press / Media on March 21, 2017 by Martino Jerian. Google’s CSI-Like Algorithm Is Not Enhancing Images, It’s Creating Them! The actual research article by Google is available here. This entry was posted in Announcements, Press / Media on February 10, 2017 by Martino Jerian. I assume most of the readers of this blog are video / photo / gadget / phone / camera geeks. I am sure you didn’t miss the reviews of the latest Apple iPhone 7 Plus and Google Pixel phones. They have a lot in common, but there is one major aspect that is interesting for our applications: things are slowly moving from photography to computational photography. We are no longer just capturing light coming from optics and applying some minor processing to the pixel values to make the picture more pleasant to the viewer. Phones must be slim and light and yet we still expect to have near DLSR quality. So, now computational photography comes into play. The iPhone 7 Plus, for example, uses two different cameras to calculate a depth of field and then tries to simulate the “bokeh” effect via software you would normally get in bulky professional cameras, by using fast optics at a wide aperture. On the other side, when you hit the button on the Pixel phone, it is capturing a bunch of pictures and then decides what to keep from every picture in order to give the user the final result. 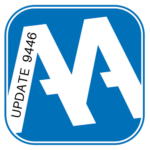 This entry was posted in Announcements, Authenticate on November 30, 2016 by Martino Jerian.